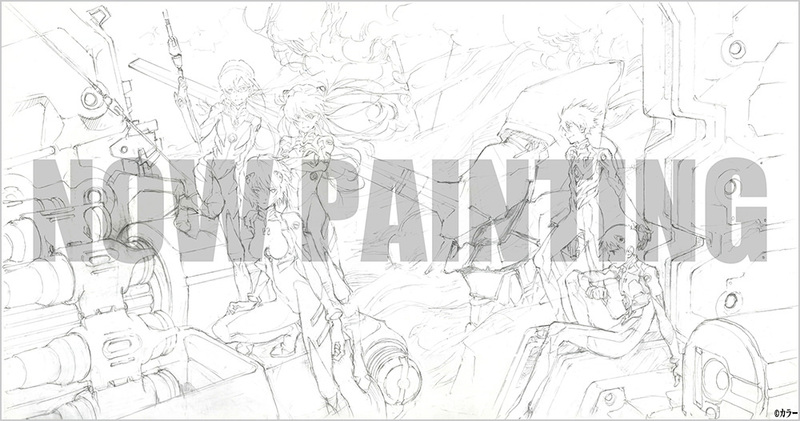 600 illustrations from the Khara years of Eva all in one 3,000 yen book. Seems like the Die Stern of NME. Not exactly the dedicated Takeshi Honda artbook I've always wanted but hell yes I'm buying this. Looks like they'll be cramming a ton of pics per page but oh well. Zeruss posted a cleaned version. I'm too stupid to figure out how to embed the post, so here. Reichu wrote: Zeruss posted a cleaned version. I'm too stupid to figure out how to embed the post, so here. Sweet! I'll have to look into getting it sometime. Damn, that's a serious tease I might look into this book at some point (my main "Eva merch" priority is nabbing Die Sterne 2.0 when I have the time/money). I got this artbook, and it's really great, but I was surprised to see that the calendar illustrations weren't in it. Literaryeagle, who also posts on this site doing Eva book reviews, informed me those are only in the limited edition of the book. I don't know for sure where you can get that one, but I believe it's on the Eva Store, which doesn't ship outside Japan. Literaryeagle knows because he owns a copy and will do a review soon, but I still felt morally obligued to warn about this ASAP I guess. I can eventually get the limited edition, but this is still kinda disappointing since I looked forward to that art. Edit: The same goes for some of those Anno lamp illustrations. I'm a she, not a he. 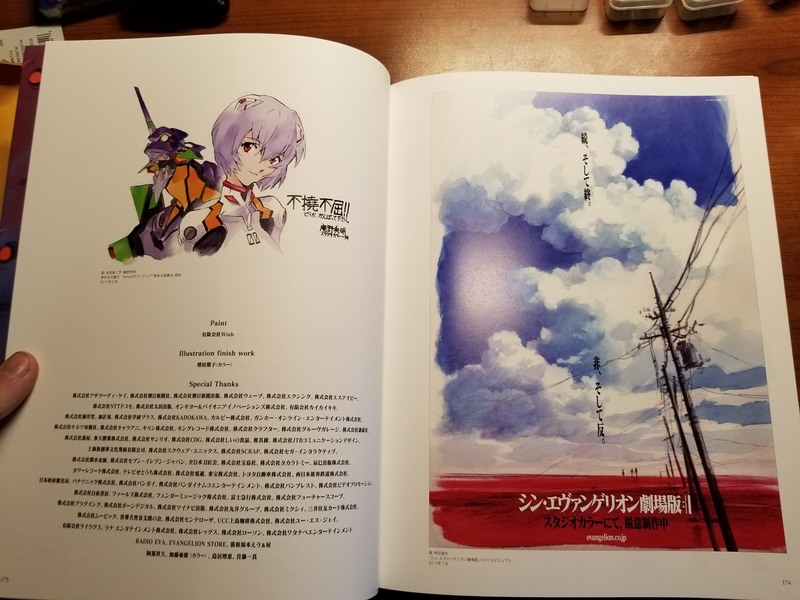 Anyway, yeah, the Limited Edition of the book is an Evangelion Store exclusive, and it comes with a second book containing more art. I'll be sure to review it once I receive it... Since the Evangelion Store doesn't ship overseas, I had to order it through a shopping deputy. So I'm still waiting for the shopping deputy to receive it, then I pay them for shipping, then they'll ship it out to me... and then when it finally arrives, I'll be able to do a review. Whew! A bit complicated, I know. Such is the life of an Evangelion book nut. Something about your username just made me assume you were male. But I imagine I will get it at some point. At least with you we'll get some insight. You can order the Limited Edition via CD Japan, who will do the deputy bit for you with minimum hassle. kuribo-04 wrote: Thanks for the link! After I posted I got a message saying it was out of stock, and a refund. Did you have any better luck? And I'm now using that as my background at work. pwhodges wrote: After I posted I got a message saying it was out of stock, and a refund. Did you have any better luck? I already got the "normal" edition, so I'll wait for now. It's something I will hunt down in the future. Oh that is lovely. It's super comprehensive after all. 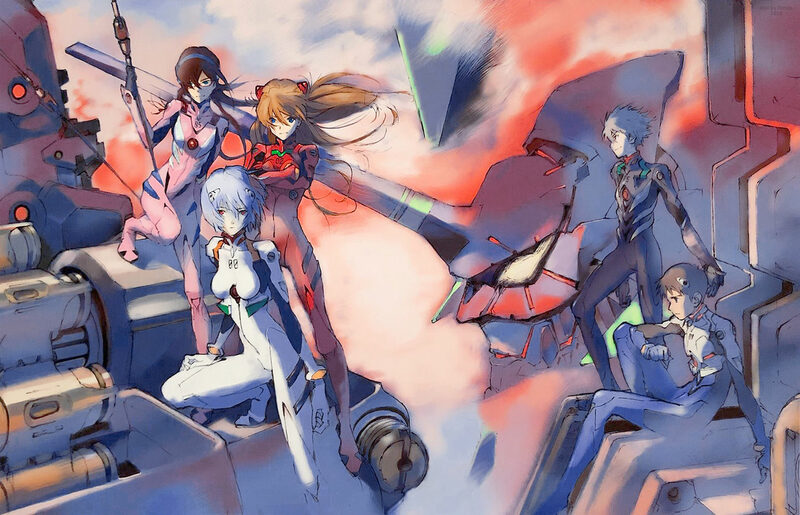 All the Eva store, the video game crossovers, tourism promo art. If the fancy super edition bonus is actually just the Khara Calendar art and nothing else then I'll be perfectly fine with the normal edition since I own the calendar itself.